An egg McMuffin served at a McDonalds. 2 How Many Calories Are in a McDonald's Steak, Egg and Cheese Bagel? 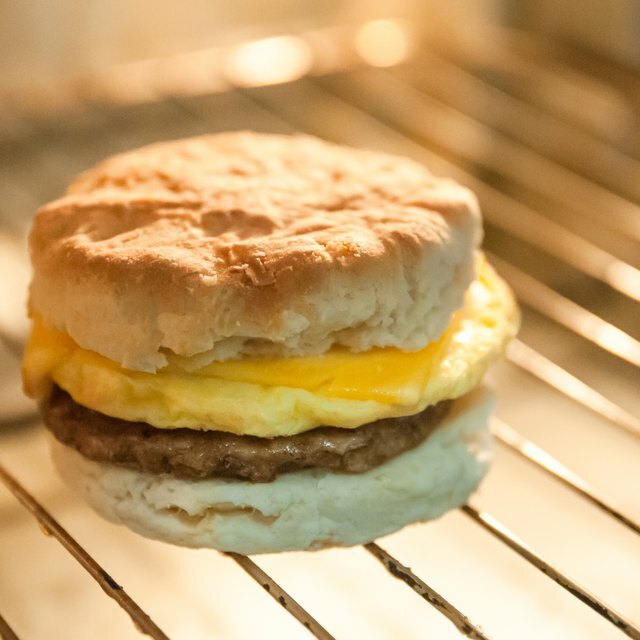 The Egg McMuffin is one of McDonald's signature breakfast sandwiches, a quick alternative to a home-cooked meal. However, it is far from a healthful way to start the day. One Egg McMuffin contains 290 calories and a limited amount of the nutrients essential to a healthy diet. The Egg McMuffin is a sandwich of egg, processed American cheese, Canadian style bacon and liquid margarine, stacked on an English muffin. This sandwich contains 12 grams or 19 percent of the recommended daily value of fat and 5 g or 24 percent of the daily value of saturated or unhealthy fat. Most of this is found in the egg and processed cheese. It does not however, contain any trans fats. This sandwich has particularly high cholesterol and sodium contents. Containing 260 mg of cholesterol, an Egg McMuffin accounts for 87 percent of the daily value of cholesterol. The Egg McMuffin also contains 820mg or 34 percent of the daily value, or DV, of sodium. If eaten regularly, foods that are high in cholesterol, like the Egg McMuffincan, increase the risks of having a heart attack. The high sodium content also contributes to the risk of a heart attack. A diet heavy in sodium can cause blood pressure to rise, and high blood pressure is a risk factor for a heart attack. While the Egg McMuffin contains large amounts of sodium and cholesterol, it is not devoid of nutrients. The Egg McMuffin contains 20 percent of your DV iron and 30 percent of DV calcium, which, according to the FDA, are high levels of these nutrients. However, the Egg McMuffin has more limited amounts of other healthy and essential nutrients. Containing only 10 percent DV of vitamin A, 8 percent of DV fiber, and no measurable vitamin C, the Egg McMuffin is not an adequate source for these nutrients. 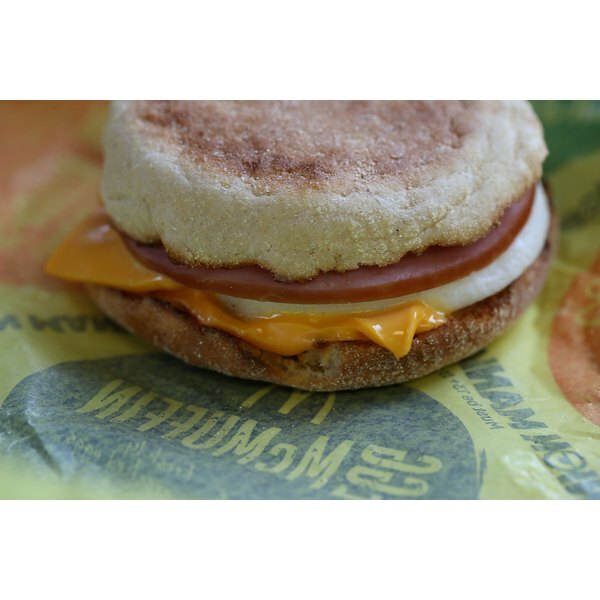 The ingredients in the Egg McMuffin are processed and filled with preservatives. The English muffin is made from refined but enriched flours and has high fructose corn syrup listed among the top five ingredients. McDonald's prepares both the eggs and the English muffins used in Egg McMuffins with liquid margarine, which is filled with hydrogenated oils. Large amounts of sodium can be found in the cheese and Canadian style bacon, while the eggs have been modified with soy lecithin. By starting the day with a healthy breakfast, adults are more likely to get the vitamins and minerals they need, control their weight, lower their cholesterol and find themselves more productive and better able to concentrate throughout the morning. A healthy breakfast includes whole grains, low-fat protein, low-fat dairy, and fruits and vegetables.